IN STOCK NOW! AVAILABLE FOR IMMEDIATE DELIVERY! Any book or music item you wish to purchase or to find out more about is simply a quick email away. We accept direct deposit or Paypal payments. Contact us via email for details. Connor,Ralph: ...young, green, every inch a tenderfoot - sent on his first assignment as a pioneer preacher to the rugged foothill region of Swan Creek. 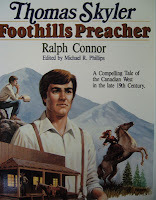 But the rough-and-tumble, hard-drinking cowboys aren't so sure they like the idea of a preacher in their midst. Meet Bronco Bill....Hi Kendal...the Duke...the Old Timer..and of course Gwen...and discover why the impact of "the Sky Pilot" was far different than any would have expected. Ralph Connor is one of the early 20th century's best-loved authors, who brought to life a collection of unforgettable characters from his own experiences in Canada's western frontier. Paperback, ages 12 up. 169 pages. 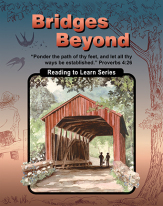 Bridges Beyond will take you back to the past—a pioneer school, a young Noah Webster fascinated with words. It will take you to the animal world—the fox outwitting his enemy and the seal who wouldn't swim. Grade 4. Sixth graders need examples to follow—courageous examples. 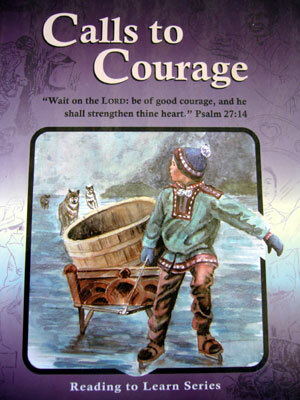 Calls to Courage provides the examples in selections centered around five themes. Wembo makes a late-night trip through the jungle; monkeys play a trick on Mario and Mario returns the favor. 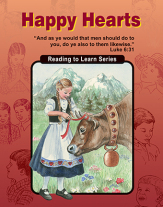 Happy Hearts continues the tradition of well-written, character-building stories for children. Grade 2. How can Nell possibly be thankful for dried onions? How can one apple make seven people happy? 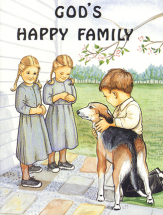 Children learn about honesty, helpfulness, courtesy, trust, unselfishness, and thankfulness. Grade 2. Is it worthwhile to know how to read? Johnny Liklak doesn't think so. He'd rather be walrus hunting—until the day the flying whale comes. Grade 3. "You know, I don't believe we knew what we were getting into." Rhine was right. When the Benner family stepped off the train that afternoon in 1915, the waiting mission board members also wondered. "I doubt they'll last the first winter." Night falls early in Waslala, and the evenings are long, especially if you're waiting . . . During their first two years in Nicaragua, the Yoder family had endured more than a dozen robberies. This story begins in Germany in an era of persecution. Searching for something better, several Mennonite families accept Catherine the Great's invitation to settle in Russia, and enjoy several generations of peace. 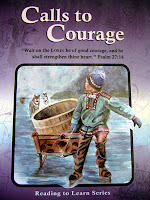 Then trouble comes ..
A picture book for preschoolers that illustrates the marvelous abilities God has given us. "God made me in a wonderful way. He made my eyes to see the world... tongue... arms... 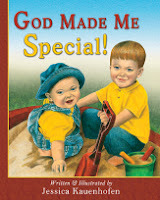 I am special, because God made me!" With stunning pencil art. "How wonderful, that God can take a worm, and from it beauty make. Now it can fly!" Poems and full-color photographs of 22 animals. 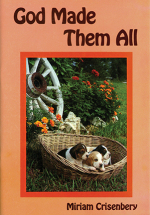 The poems not only emphasize the animals as gifts from God, but also include lessons we can learn from them. 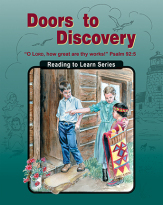 This little book is filled with scenes from the home life of a godly young family. 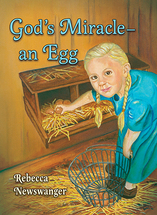 Through a sequence of pictures and children's verse, this book in the miracle series portrays the wonder of life by following the development of a chick from an egg. Times are hard for Katie's family—a fire, a storm, a sick mother, and a gruff neighbor. 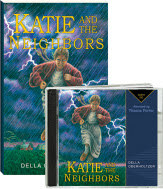 In the whirlwind of these events, twelve-year-old Katie wrestles with understanding where God is and what she ought to do. Like all of the readers in our series, it is filled with wholesome, inspiring stories that the whole family will enjoy. 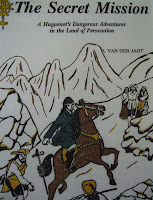 "Stories like Sleep-Out Below Zero" and "To Prove a Proverb." Grade 5. Elisabeth has a secret. She is sixteen and still can't read. Hannes Weaver works for the printer in town and after discovering her secret, offers to give her lessons. "A charming story. This is a good book to teach kids what many people went through to settle our country. 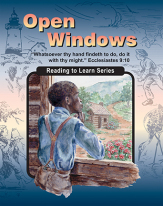 It is especially good for homeschoolers. Whispering Brook Farm is home base for Nancy Petersheim. But she pulls herself away to visit her sister and brother-in-law in Summerville. 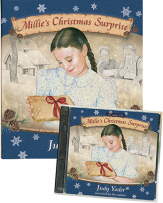 Never once did she dream that her visit in that Amish settlement would stretch from two weeks to last all summer, so she could help her sister Mary. 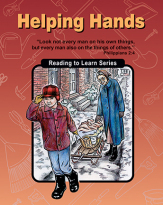 Nancy, tied closely to family and church, learns more about housekeeping and doing right. May soon makes friends in the city, who help her learn to read, and more importantly, understand the meaning of the precious words about which she had been curious for so long. Through her friends' patience May learns of the Saviour and how she herself can share the message of Christ with others. Three Little Words - Come With Me! Simply email us your choice of books or music. We will calculate the best postage costs we are able to offer and email you the details. Payments may be made via Paypal or Direct Deposit. All Enquiries and Orders to: majestyandgrace@gmail.com. "Desperate" is for those who love their children to the depths of their souls but who have also curled up under their covers, fighting back tears, and begging God for help. It's for those who have ever wondered what happened to all their ideals for what having children would be like. For those who have ever felt like all the "experts" have "clearly" never had a child like theirs. For those who have prayed for a mentor. For those who ever felt lost and alone in motherhood. In" Desperate" you will find the story of one young mother's honest account of the desperate feelings experienced in motherhood and one experienced mentor's realistic and gentle exhortations that were forged in the trenches of raising her own four children. Our Price $15.00. Therefore will the Lord wait, that He may be gracious unto you, and therefore will He be exalted, that He may have mercy upon you; for the Lord is a God of judgement: blessed are all they that wait for Him. He will be very gracious unto thee at the voice of thy cry; when He shall hear it, He will answer thee. Parenting is no easy task. Do you ever wonder what the future holds for your children? Do you wish that they wouldn't walk the same path as you did? Steve and Teri will gently guide you down a path to raising your children without rebellion. They have experience, having raised seven children to adulthood and not experiencing any rebellion. Our Price $20.00. Elizabeth George, popular speaker and bestselling author of "A Woman After God's Own Heart" and "A Young Woman After God's Own Heart", provides an engaging and inspirational resource for every mom who wants to lead her daughter to a godly life by example, encouragement, study, and prayer. With her biblical insight and child-raising experience, Elizabeth guides a mother's development of her daughter's spiritual life of faithfulness, obedience, and joy lived daily. Alongside these faith-life foundations, Elizabeth provides: small things that make a big difference, simple ways to implement life lessons; purpose and priorities what daughters need to know about what matters most; and, study questions for each chapter discussion material for moms and daughters. Women will find fresh ways to connect with their daughters as they glean from Bible verses and topical explorations and prepare their girl's heart and mind to become a woman after God's own heart. Our Price $12.00. In this easy to read book, you will find tips and suggestions to help you achieve that "calm baby", so that you can be a confident mum. From newborns through to the first birthday, you can read about feeding your baby, putting your baby to sleep and playing with your baby. This book will share what its writer and many others have discovered: how to manage your baby on a flexible routine, thus creating a calm baby and a confident mum! Our Price $25.00 ** Especially recommended by M&G. Tried and True!!! 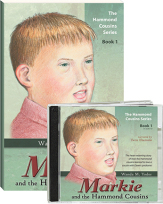 Majesty & Grace Books And Music. Simple theme. Theme images by caracterdesign. Powered by Blogger.